Ophthalmologista are positive about the question if nonparous women may have a laser correction. The procedure itself will not cause vision deterioration after giving birth and has no effect on pregnancy and maternity. The only laser vision correction limitation is that it is not recommended during pregnancy and usually lactation. The reason for this is that during this period the endocrine profile of a woman is changed by large which can affect state of health, visual system as well, so the laser correction result performed then may be unstable. According to clinical practice most visual problems at delivery occur due to poor retina condition often caused by myopia. During labour women experience great strain and this may precipitate retina detachment able to cause complete loss of vision. Very important for the patient to undergo comprehensive diagnostic testing to evaluate retina condition. 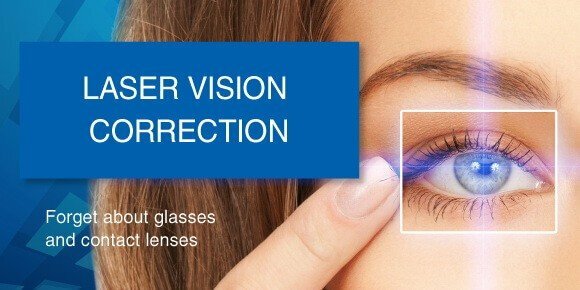 If necessary the doctor will prescribe retina strengthening procedure. Quite often doctors face misguiding thinking that women with high myopia grade must give birth through a Caesarean. Many aspects should be considered when taking a decision on how a woman should deliver (naturally or surgery-assisted). And ophthalmologically speaking the condition of the patient's eye fundus is more important than her myopia degree. Ophthalmologists testify that high myopia grades are not always associated with retina problems. As a consequence there are not contraindications from the visual system for natural delivery. Anyway when you plan a pregnancy or already carrying please visit an ophthalmologist. He will give advice basing on you condition.